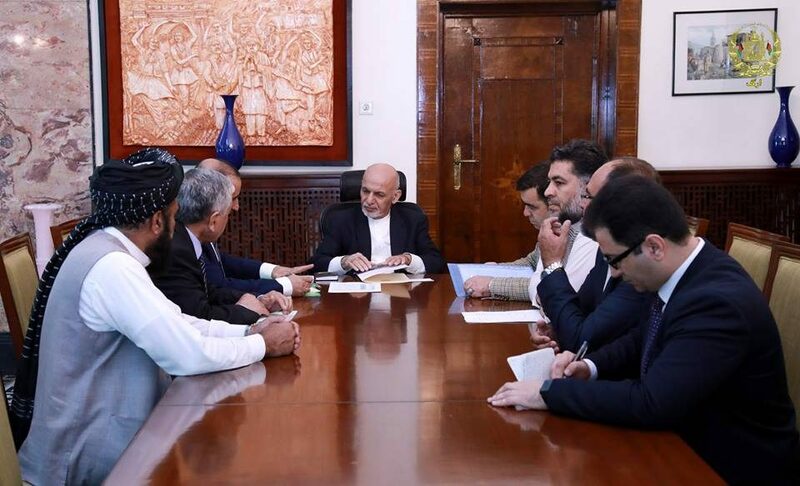 KABUL: President Mohammad Ashraf Ghani in a meeting with a number of central and provincial craftsmen assured them of full efforts to prevent trafficking all over the country’s ports and other routes, BNA reported the other day. According to the agency, the craftsmen provided the president with details about their crafts, saying up to 32 productive sectors have reached self-sufficiency and 22 others to semi-self-sufficiency, but vowed they would also reach self-sufficiency if the government supported them. They thanked the government for preventing smuggling and said trafficking has for the first time been prevented in the Turkham port, according to the agency. They also shared their problems, particularly in the field of development industrial townships for the craftspeople, said the agency. Meanwhile, calling the use crafts very important in beefing up the manufacturing economy and investment, the president said the government has special plan for growing crafts sector and praised them for their efforts in this field, according to the source. The president asked them to invest in growing crafts, particularly in the field producing solar and wind power, textile and promised that the government was fully ready to provide land for the industrial parks to craftsmen and added that the domestic textile products would be used to make uniforms for the country’s armed forces. The president assured them of the government effort to prevent smuggling all over the country’s ports and routes, like Turkham in the country’s east, the agency quoted.